The Hague Evidence Convention (HEC) lays out the procedure US courts are to follow to request assistance in obtaining evidence located in other signatory counties. The HEC clearly contemplates that judicial assistance is to be provided for documentary and testimonial evidence. But does the HEC contemplate judicial assistance for obtaining physical evidence? Although the word “physical” is not used in the HEC’s text, a number of secondary sources assert that physical evidence can be obtained under the HEC. Yet, US courts have rarely issued opinions containing the phrases “Hague Evidence Convention” and “physical evidence.” And of those that did, few provide any detail concerning the nature of the physical evidence sought; and none of these cases directly addresses the appropriateness of using the HEC to obtain physical evidence located overseas. To further analyze whether the HEC contemplates the production of physical evidence by an overseas court, let’s consider an actual case. A plaintiff was injured by an easily transportable product in a HEC signatory country. From the time of injury to present, the product that allegedly caused the injury has remained in the position, custody, and control of a third-party. Because the product was manufactured in the US, damages were sought in a US court. The court granted the plaintiff’s motion to issue a Letter of Request (LR) to the appropriate court in the overseas HEC country where the third-party witness is located. In the LR the US court requested the overseas court to compel the third-party witness to produce the product in question for non-destructive testing and provide a statement regarding the chain of custody of the document. When the overseas HEC country’s Central Authority received the Letter of Request, its initial –but not final — response was to opine that it is highly unusual to receive a request for judicial assistance for the production of physical evidence. Certainly, from a US perspective, many such requests are never made because the physical evidence sought is not easily transportable. So, how should the requested HEC country handle the US court’s request to produce the physical evidence? Let us start with the text of the HEC. The purpose of the HEC is “to improve mutual judicial co-operation in civil or commercial matters” including the obtaining of “evidence, or to perform some other judicial act.” Under Article I of the HEC, signatory states are required to establish a Central Authority to receive inbound requests for judicial assistance and then forward the requests to an appropriate court that has jurisdiction over the witness. However, if “the Central Authority considers that the request does not comply with the provisions” of the HEC, it may refuse to forward the request and return the request to requesting judicial authority with its reasons for refusing to forward the request. In analyzing the above case, the first issue is whether the Central Authority has grounds not to forward the request for the production of the physical evidence for non-destructive testing. Under the HEC, the Central Authority largely provides a ministerial function – it does not decide whether the evidence will be produced (that function is left to the judiciary). Rather, the Central Authority must forward a request for judicial assistance unless the Central Authority finds that the request for judicial assistance does not comply with the Convention, is not something that can be provided by the country’s judicial system, or granting the request for assistance would negatively impact the country’s sovereignty or security. Because nothing in the HEC prohibits requests for the production of physical evidence, a request from a US court for the production of a product at issue in a tort case is a civil matter within the scope of the HEC. Even though the production of physical evidence is not explicitly present in the HEC, such a request is a request for an “other judicial act,” which is explicitly contemplated by the HEC. Indeed, a sine qoa non of a judicial system, both in the US and abroad, is issuing orders for the production of evidence — including physical evidence. Accordingly, a request for the production of physical evidence is clearly something a country’s judiciary can perform. Finally, the product at issue in the case above is something that can be held in one’s hand and is something anyone can buy–no license is required. This is not the type of product that would prejudice any country’s sovereignty or security. In short, while the Central Authority in this case might have found the request for physical evidence to be unusual, the Central Authority will –with almost certainty – have to forward the request of judicial assistance on to an appropriate court. We now must analysis how the appropriate court in the HEC country will handle the US court’s request for the production of physical evidence. Under the HEC, overseas courts are to apply the law of the land. To get a feel for how other HEC countries handle production of physical evidence, consider the table below for Germany, Sweden, and the United Kingdom (UK). (These countries were selected because their governments provide English language translations of their codes of civil procedure; and one of these countries is where the physical evidence in the above litigation is located.) The civil procedure citations concerning physical evidence found in this table are representative of the civil procedure laws in other HEC countries. Because all foreign courts appear to have some degree of discretion to order the production of physical evidence, a foreign court’s decision to issue an order for production is likely to be determined on whether the evidence in question is relevant, not over broad, and the interest of justice compels the issuance of an order for production. In this case, the US court requested the production of a specific product that allegedly caused a specific injury. Thus the request to produce this specific product is highly relevant. While the US court also requested that the witness should provide a statement of the product’s chain of custody since the time of injury, the US court requested nothing more. The US court’s request is therefore not overly broad or an “attempt at a fishing expedition” as it would be said in European countries. If a similar product were produced the defendant manufacturer would have an argument that the mechanism for the plaintiff’s injury (based on the non-destructive testing) was due to peculiarities of the similar but not specific product. In other words, the defendant might assert that the non-destructive test results were particular to the actual product tested and are not representative of the results that might have been obtained had the specifically requested product been tested. 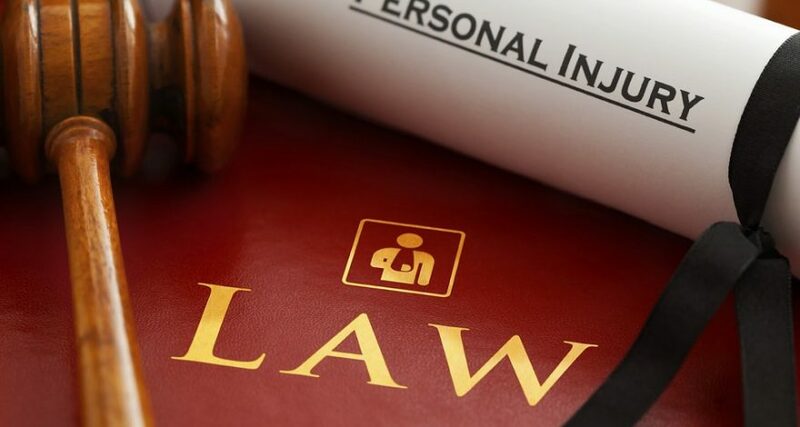 Therefore, because the specific product that allegedly caused the plaintiff injury is the subject of production –not another similar or fungible product — justice compels its production. In a few months, we will report back on whether the plaintiff in this case ultimately obtained the product for non-invasive testing. Update [1/4/18]: The court ordered the physical evidence in this case produced for inspection and testing. If you or your client require assistance obtaining evidence abroad, contact Legal Language Services today and our experienced professionals will be able to assist you. Speak with a representative at LLS today! See for example, CONVENTION ON THE TAKING OF EVIDENCE ABROAD IN CIVIL OR COMMERCIAL MATTERS (Concluded 18 March 1970) at Art. 23. Id. at Chapter 2 (Articles 15 -22). A search based on these terms returned six hits and all six cases concerned motions to dismiss based on the basis of forum non conveniens: MELALEUCA v. SHAN, 2018, Case No. 4:18-cv-00036-DCN (Dist. Court, D. Idaho April 24, 2018) (concerning easily portable products-e.g. “nutritional, personal care, cosmetic, and household products”); KING.COM LIMITED v. 6 WAVES, No. C-13-3977 MMC (Dist. Court, ND CA March 31, 2014)(physical evidence sought not precisely described but likely to be easily portable because the underlying litigation concerned intellectual property); IN RE AIR CRASH AT MADRID, SPAIN, 893 F. Supp. 2d 1020 (Dist. Court, CD 2008) (physical evidence not precisely detailed but not likely to be easily portable because of the nature of the litigation); MICROAIRE SURGICAL INSTRUMENTS v. ARTHREX, Case No. 3:09-cv-00078 (Dist. Court, WD VA July 13)(physical evidence not described); REERS v. DEUTSCHE BAHN AG, 320 F. Supp. 2d 140 (Dist. Court, SD New York 2004 (physical evidence sought included a train car); GSCHWIND v. CESSNA AIRCRAFT, 161 F. 3d 602 (1998)(physical evidence not described but not likely to be easily portable because of the nature of the litigation). Cf. In addition, many cases involving motions granting the issuance of a Letters of Request to take physical evidence abroad can be found (e.g., IN RE OMNIVISION TECHNOLOGIES, 04-CV-2297 (ND CA Oct. 26, 2006). But again these motions granting the issuance of Letters for Request opinions assume that physical evidence located overseas can be obtained on the HEC. Because this litigation is ongoing, the description above has been anonymized. The ease of transporting this product means there are no grounds in this litigation for a forum non conveniens motion. See FN 4. CONVENTION, supra note 1 at the Preamble. Id. at Art. 5 and 9. Id. at Art. 12 (a). Id. at Art. 12 (b). Technically, determining whether the production of evidence would negatively impact the sovereignty or security of country is arguably a judicial function. But, in a clear cut case (e.g., a request to produce a schematic for a top-secret missile), it seems likely that the Central Authority could justify a refusal not to forward such a request. CONVENTION, supra note 1 at Art. 6. GERMAN CODE OF CIVIL PROCEDURE; https://www.gesetze-im-internet.de/englisch_zpo/. UNITED KINGDOM PROCEDURE RULES; http://www.justice.gov.uk/courts/procedure-rules/civil/rules/part31. The Letter of Request in this case identified the product by serial number. This would not be a frivolous assertion in the case at hand.